“I believe that the more I understand what makes each of my clients unique, the greater service I can provide. 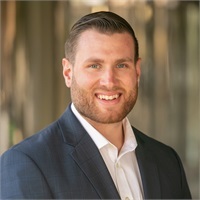 It truly is a long-term partnership and it’s crucial to listen and really understand what’s important to my clients.” Zack has been servicing clients as a Financial Advisor since 2014. Zack graduated from the University of California at Davis with a Bachelor of Science in Managerial Economics. He is an active member of the Financial Planning Association. Zack believes in a long-term approach to investing and extensive planning to help his clients reach their goals and optimize their retirement. In his free time, Zack is an avid golfer, enjoys exercising and being outdoors.